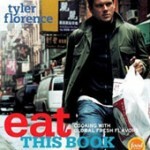 I first met Tyler while assisting on ‘Eat This Book’ as his intern and had the great fortune to meet the amazing team of culinary professionals who brought the book to life. With ‘Eat This Book’, I got my first taste for food styling and photography. 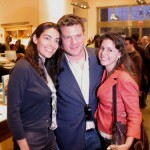 Working as Tyler Florence’s intern, I learned so much about food styling, photography, and how much work it takes to produce a large, successful cookbook project. Check out Jennifer's Google+ page.